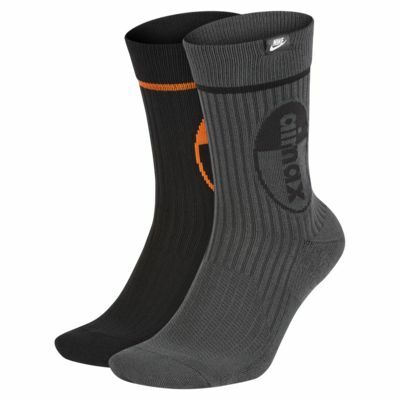 The Nike Air Max Crew Socks feature premium fabric combined with cushioning at the toe and heel. The sneaker-inspired Air Max graphic is knit into the socks. 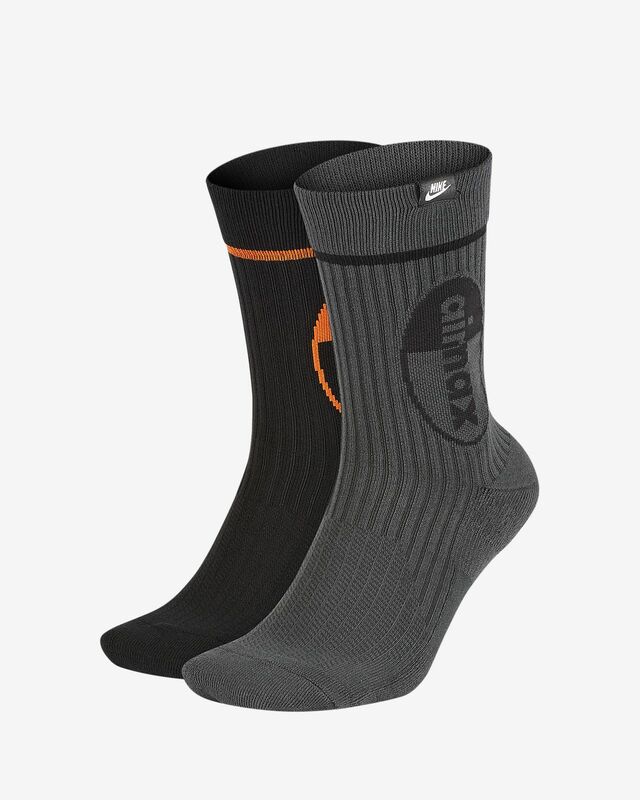 Premium fabric provides soft durability. Air Max graphic is knit into the socks. Fabric: 40% polyester/35% nylon/21% cotton/4% spandex.